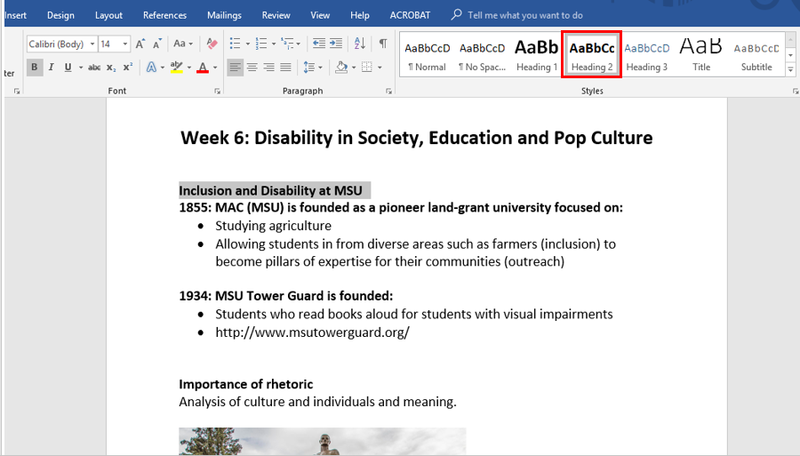 Microsoft Word has a number of tools that you can use to make documents more accessible. 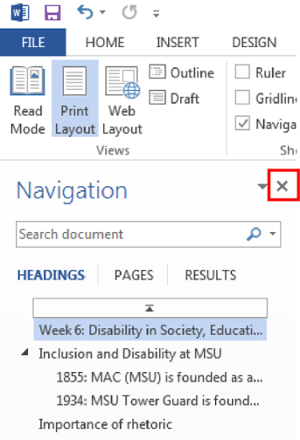 The goal of this tutorial is to explain how to use the accessibility features in the latest Microsoft Office 365 application which is the desktop version of the Microsoft Word 2016 program. For additional support with other versions of Microsoft Word, check out the support page on the Microsoft website. No automated accessibility checker will ensure that a document is accessible. Automated checkers are a good starting point, not the end-all, to check your documents for accessibility. 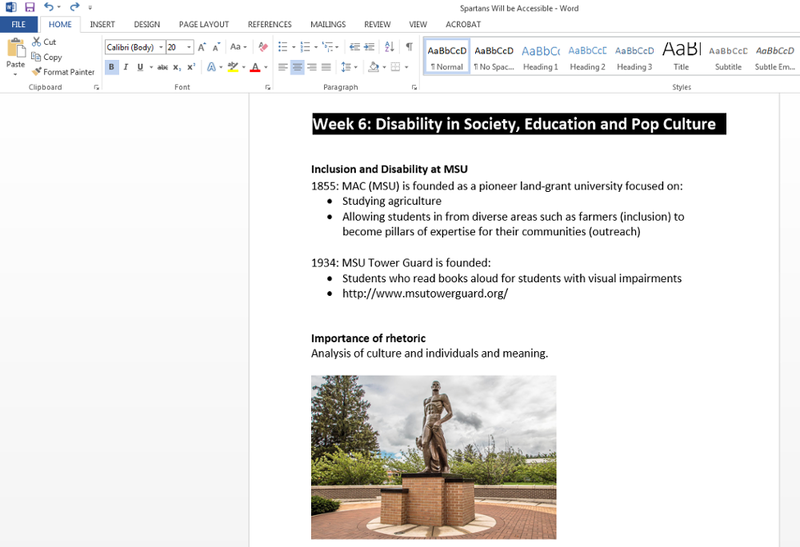 We recommend using the local, installed desktop version of Office when checking documents for accessibility. Some features and functionality are missing or not working properly in the online versions, including the Accessibility Checker tool. Accessibility checking requires manual inspection and some human judgement (e.g. 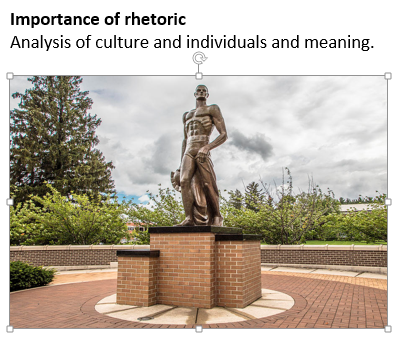 “What is meaningful alternative text for an image?” WCAG 1.1.1). Microsoft is quick to point out the limitations of their Accessibility Checker, and they have provided a guide on the support site to clarify what their Accessibility Checker checks, the distinctions it makes between Errors, Warnings, and Tips, and what recommendations they are for the document creator in terms of manual inspection. 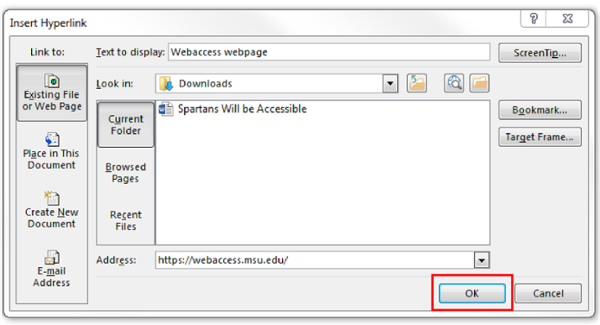 All MSU faculty, staff, and students can download Office for their local devices at no cost by logging into their MSU email account (spartanmail.msu.edu). Once logged in, in the top left corner of the screen there is Office 365 text located between the menu and the Outlook text. Once you select the Office 365 text, on the next screen in the right middle corner there will be an option to "Install Office apps" and from there you can download Office 2016. You can install on up to five devices. Do your links provide descriptive text in context which describes their destination to the user? Do your images have appropriate alternative (alt) text which describes images within the context they appear? Have you saved your document as a PDF in such a way that accessibility information is preserved? Does your document make use of list styles (either bullets or numbered lists) where appropriate? 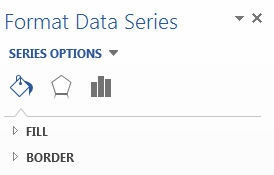 Do your tables have designated heading rows? 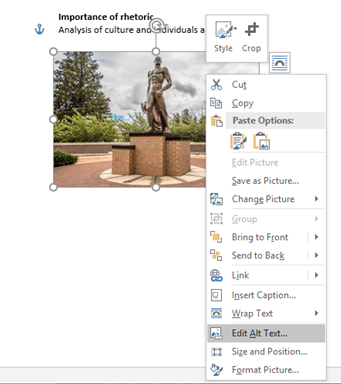 Does your document avoid using empty spaces to create formatting change? 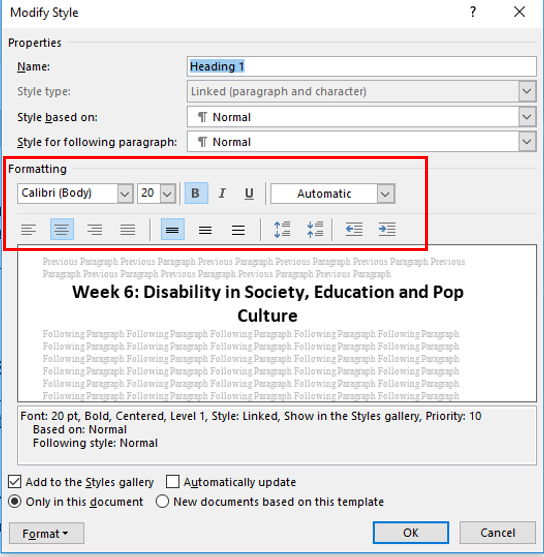 Have you run Microsoft Word's built-in accessibility checker, and fixed any identified problems? If you are designing a document that is not going to be printed out, you can add context within the link itself. If you are designing a document that may be printed out, such as a syllabus, you can add context around the URL. 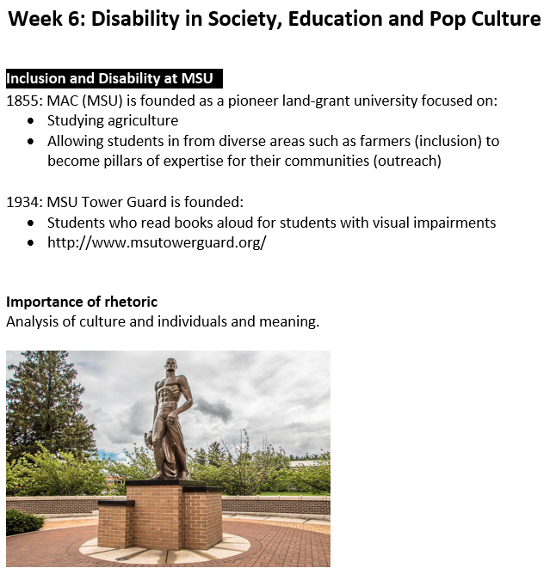 For more information please visit MSU’s web accessibility site at webaccess.msu.edu. Select the descriptive text that describes the destination of the link. 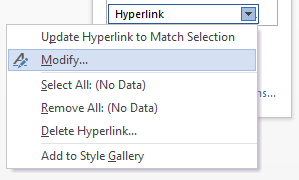 On the Insert tab, under the Links group, select the “Hyperlink” icon or use Ctrl+K or right click and select the “Link” option. An Insert Hyperlink box will appear. 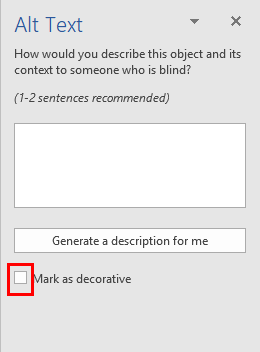 The “Text to Display” textbox should be the descriptive text that was selected. In the “Address” textbox, type in the link that the descriptive text is linking to. 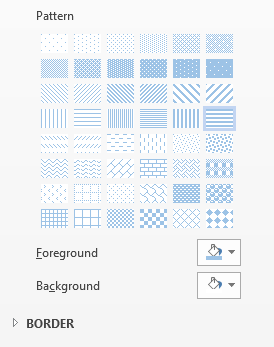 On the Home tab, under Styles, select the arrow in the corner. A Styles drop down menu will appear. Scroll down to “Hyperlink." Alternative (alt) text helps individuals that are unable to view and read a screen on their own. Individuals may rely on assistive technology, such as screen readers to communicate the provided content. Alt text is text that describes visual images or objects within the context that they appear. Decorative images are images that provide no information and are used for purely aesthetic purposes. For this reason, decorative images do not need alt text. When writing alt text, it is important to remember that users will not see your information, they will hear it. Alternative text should provide the same information as someone who can visually see the image. 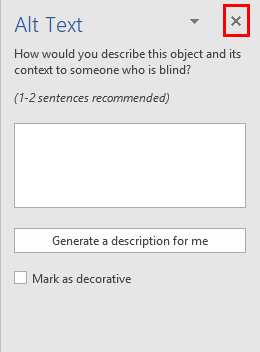 Assistive technology will inform the user that the object is an image, so you do not need to state in the alt text that it is an image, simply describe the image as you would describe it over the phone to someone. 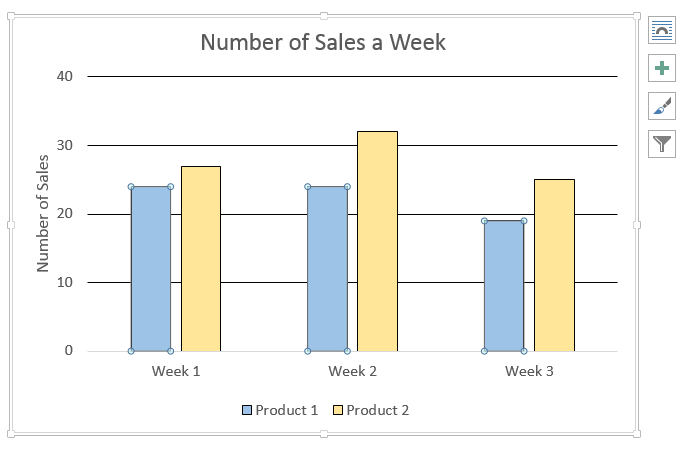 For charts, you should describe the type of chart, and consider defining the axes, and the general trend of the graph. 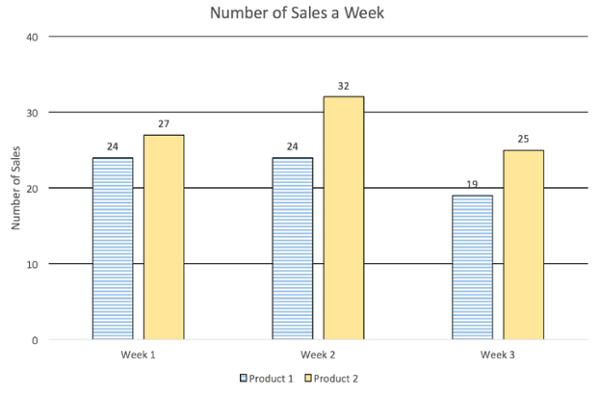 For example, “A line graph of temperature by week.” If the goal of an assignment is to determine the general trend, consider defining in alternative text a small subset of data points that allows users to determine trend, or also providing a table. Select the image that needs alt text. 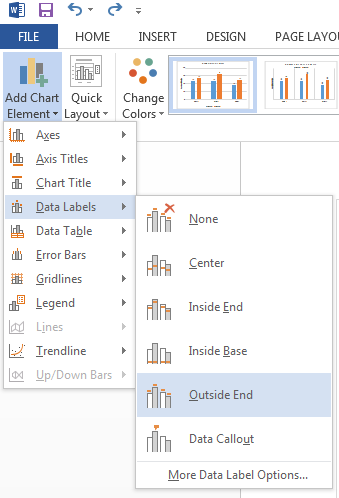 Right click on the image, Select “Edit Alt Text” at the bottom of the drop-down menu. An Alt Text panel will appear on the right side of the screen. In the text box, add text describing what the image is. Think about how you might describe a visual over the phone when writing alternative text. Close out (X) of the sidebar once finished. Now our image has alternative text. 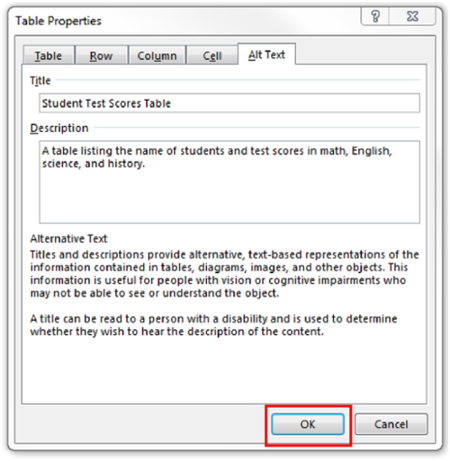 Select the table that needs alt text. 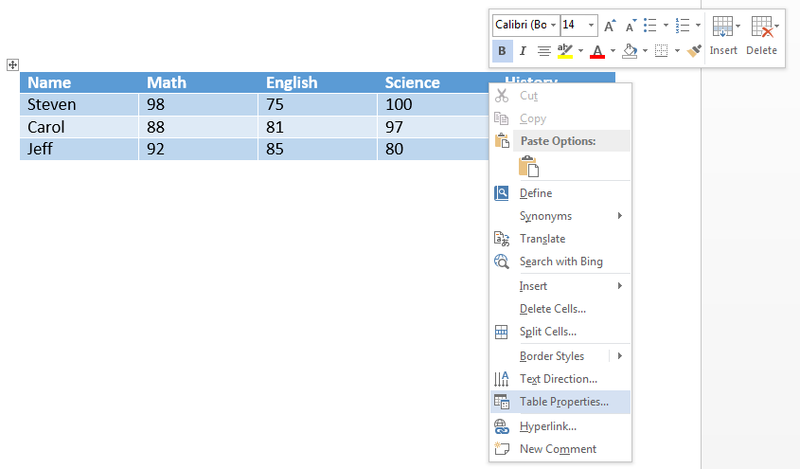 Right click on the table, Select “Table properties” at the very bottom of the drop-down menu. 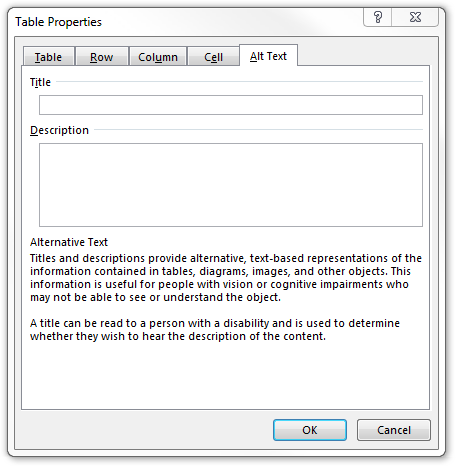 A Table Properties box will appear. Select Alt Text on the right. In the TITLE field, add the title of the table. 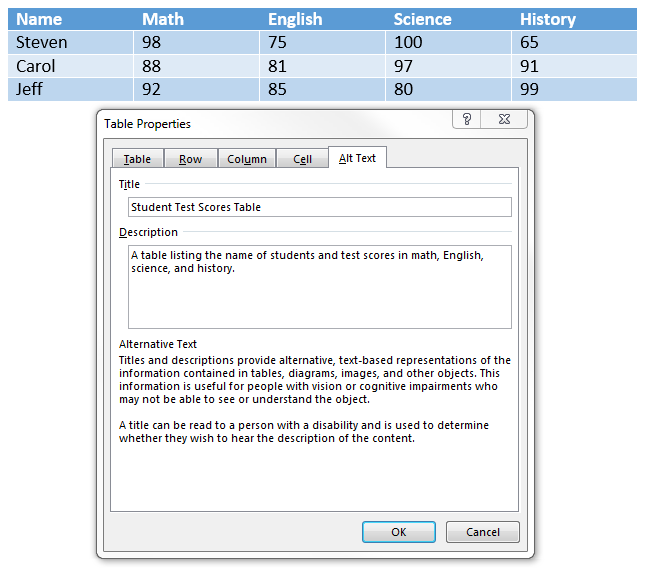 In the DESCRIPTION field, add text describing what the table displays. Try to provide contextual information about the table in the description field. Highlight the "Heading 1" of the document. On the Home tab, select “Heading 1.” The Heading 1 was originally tagged “Normal.” Tagging the Heading 1 as a “Heading 1” will allow a screen reader to communicate the first heading in the document. To create a Heading in the document, highlight the word or phrase. 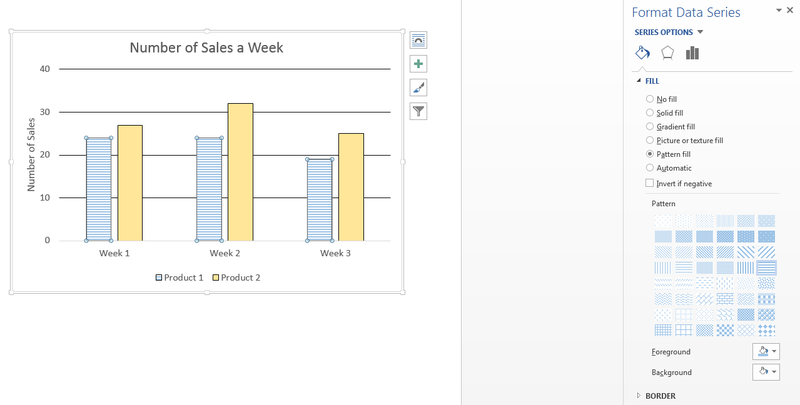 Select the hierarchical level in the top ribbon on the Home tab. For example select, “Heading 1” or “Heading 2." Go through the document, tag similar headings within the same hierarchy the same heading element. The font style of the word or phrase may change when tagging heading styles. On the Home tab, there are font format options. Change the format for a Heading Style to keep it consistent every time a heading is selected. Right click on the Heading Style and select “Modify." 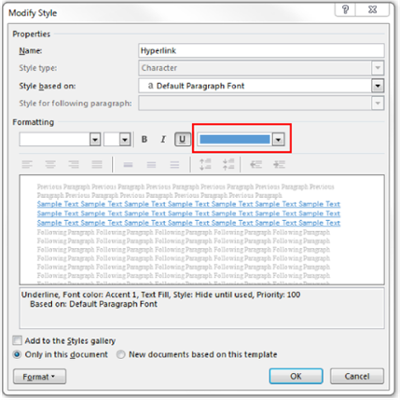 A Modify Style box will appear, under Formatting, change the font format. Update the heading styles without changing your formatting. Right click on the Heading Style and select "Update Title to Match Selection." By doing so it will change the Heading Style while keeping your formatting consistent with how it already appears. 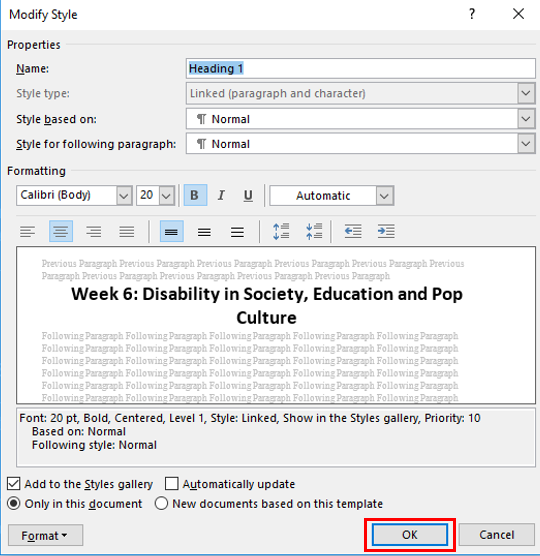 To save accessible features made in a Word document to a PDF document, you must save a Word document properly. Although there are many ways to convert a word document to a PDF, it is important to perform this action in a specific way each time to ensure that the accessibility practices implemented remain intact. To complete this action users, need to have Adobe Acrobat Pro installed on their device. An Acrobat Create PDF box will appear. Select “Yes." Upon saving or selecting "Yes" the document will open in PDF. This gives the user the opportunity to review the document in its new format. List styles are great tools to organize your content. Using built-in structures like bulleted or numbered lists allow assistive technology like screen readers to clearly convey information to users, and allows users to effectively navigate through content. On the Home tab, select the Bullets or Numbering icon. 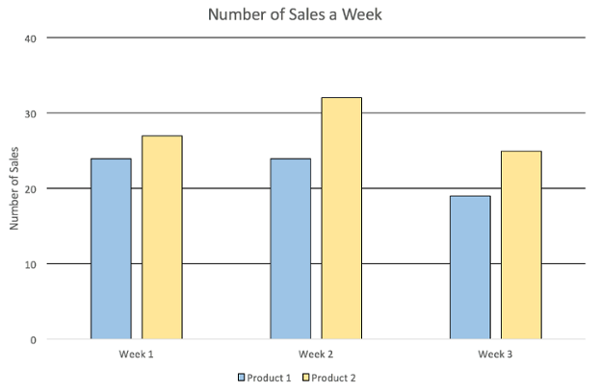 Use Bulleted (unordered) lists when items have equal value. 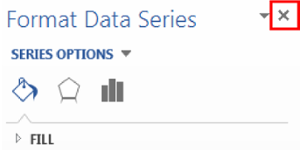 Top ribbon in Microsoft Word under home tab. List option highlighted from Paragraph section. Open the Navigation Pane, by checking “Navigation Pane” on the View tab in the Microsoft Ribbon. A side bar will appear to the left. To change the reading order, select the content in the document and drag it to the correct order. The reading order will automatically change in the Navigation page. Close out (X) of the sidebar once the reading order is correct. 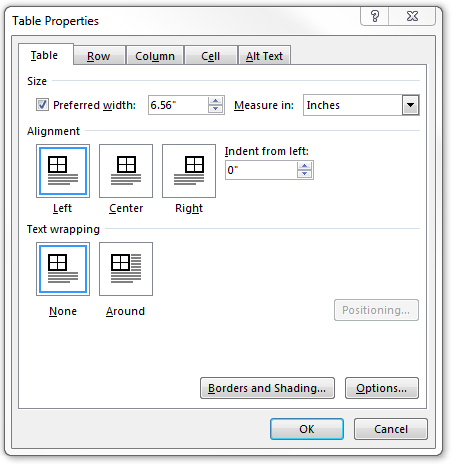 In the Design tab, under Table Styles Options, check “Header Row." Make sure that the first row is highlighted. 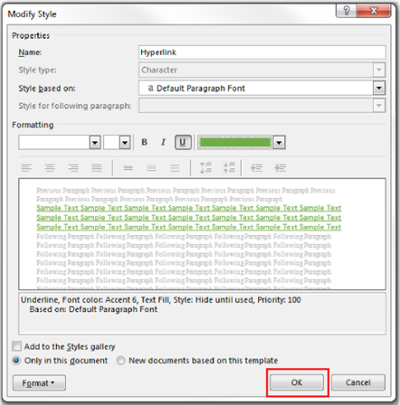 Text styles is the use of using more than color to denote the differences between content and the rest of the document. Meaning can not be denoted by color alone. A way around this would be to include text and color, shape and color, or bold and underlined and color. 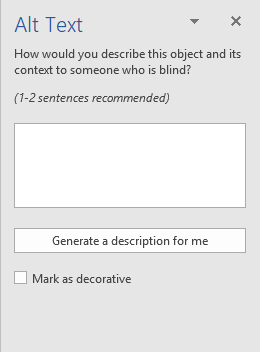 This will allow a visually impaired *individual to identify the differences between content meaning. 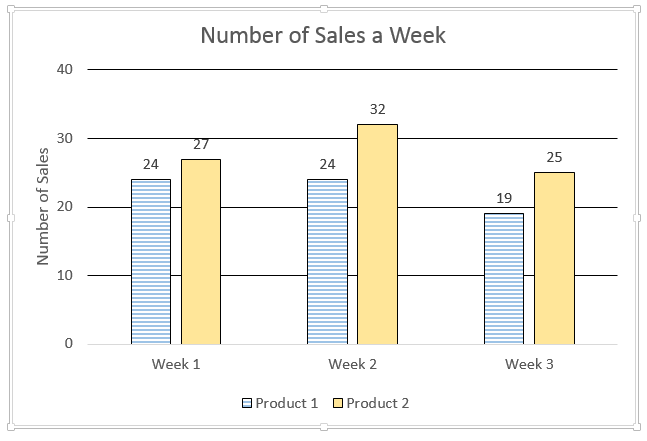 Select a bar to highlight, it should highlight all of the bars in the same group, four circles will appear on each corner of the bars. A sidebar will appear on the right, select “Fill & Line,” the first icon of a paint can with paint spilling out. 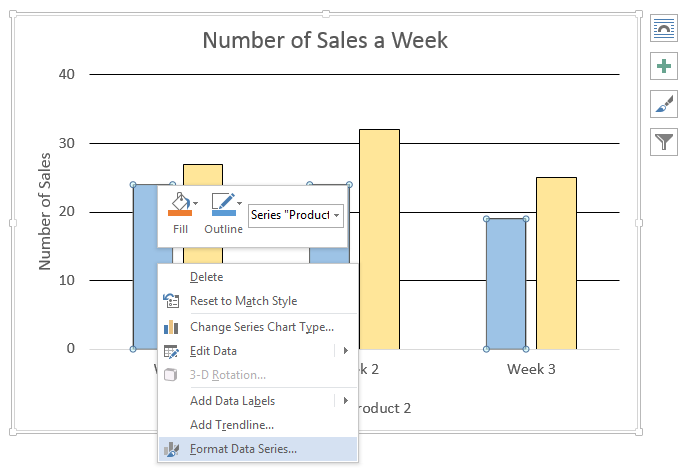 In the Fill section, select “Pattern fill,” a Pattern drop down will appear. The appropriate pattern for your chart. To change the pattern color(s), select the “Foreground” or “Background” drop down of a paint can with paint spilling out. Close out (X) of the sidebar once finished. Visit the MathType for Equations Tutorial for information on entering equations. 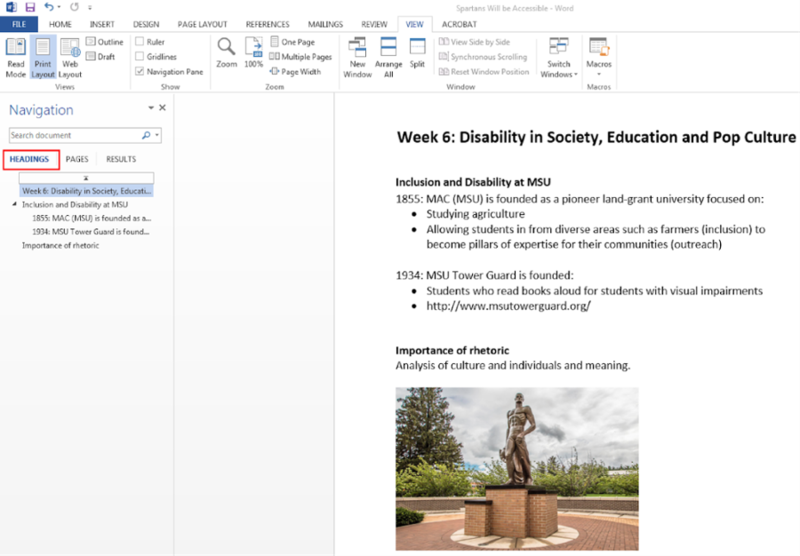 Microsoft Word contains a built-in accessibility tool. This allows users to perform a double check on their document to ensure that they have included all basic accessibility practices in their document. Under the "Accessibility" section, select the "Check Accessibility" button. 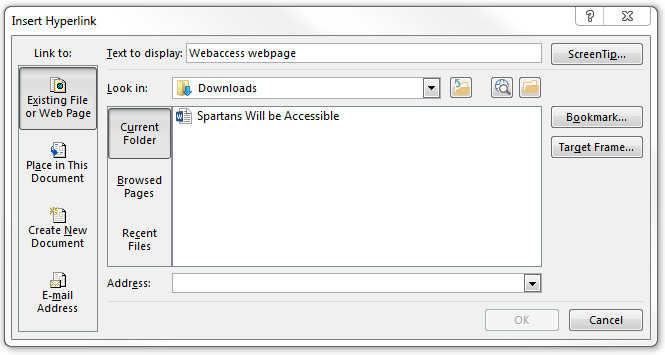 This will run the tool and identify any accessibility related errors that may still be left in the document.